Kids are out of school now, so that means a lighter commute to work, there is no food in the fridge when I get home and its time to see how their grades were this year. Might be a good time to grade ourselves as well. I know for some of you, we can't quite move quick enough. I'm a very impatient guy as well, so though it has felt like an eternity, I think we've done a heck of a lot in the last 25 months. 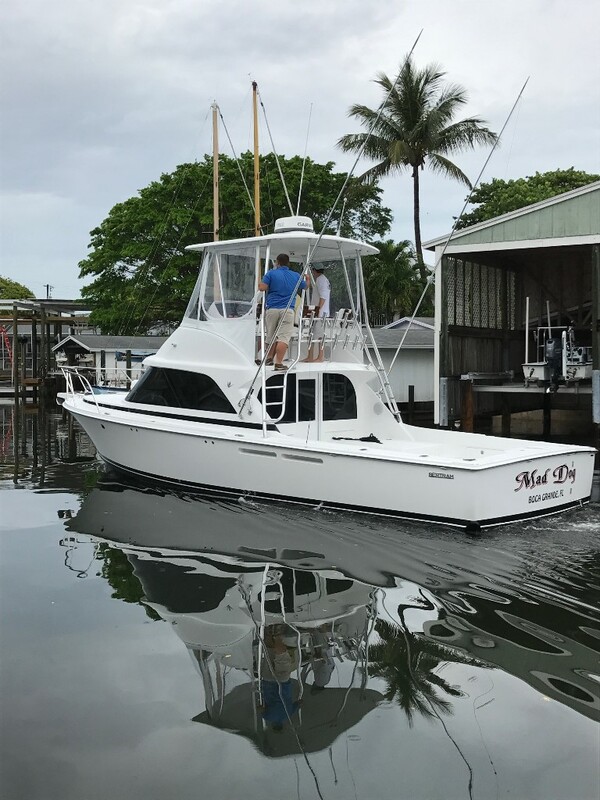 I'm proud to say, there are now four Bertram 35's swimming in the wild with their happy owners. 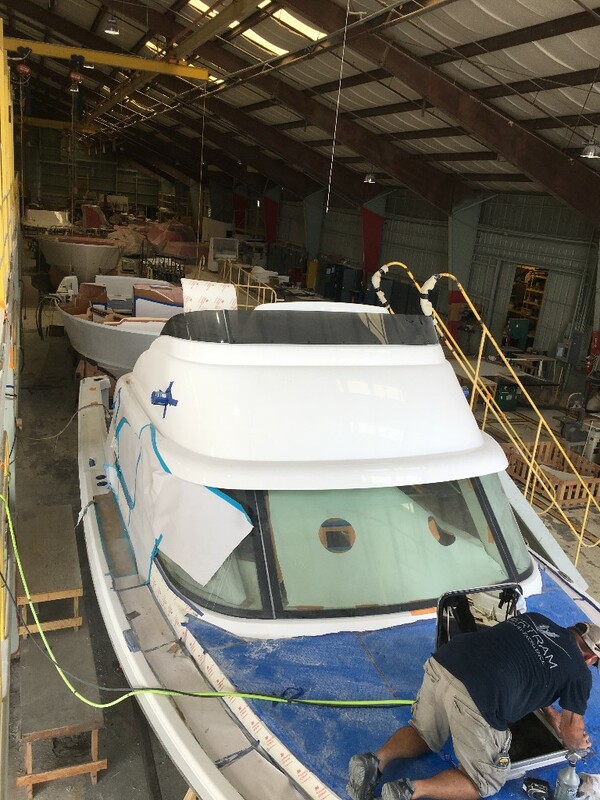 Hull 4 left the dock last weekwith some really cool customizations in the galley that include a built-in bar and a tricked out rod storage area. 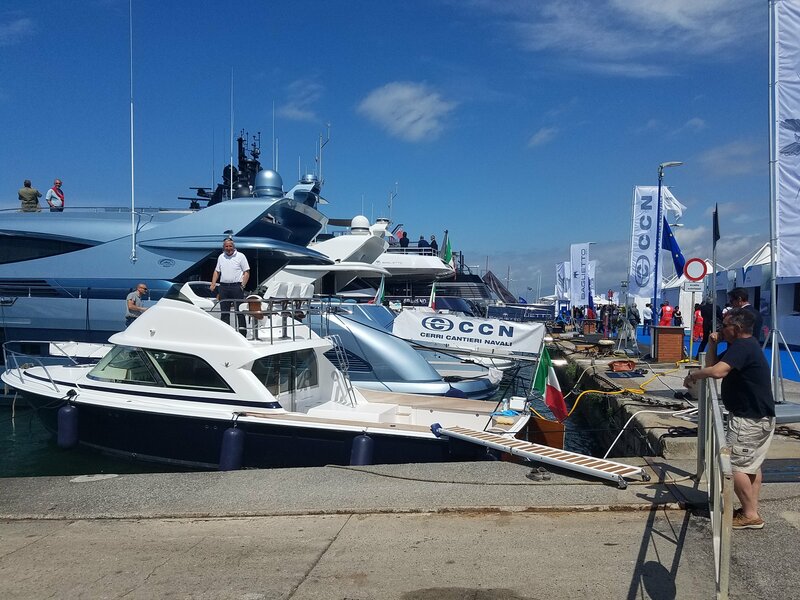 Hull #1 made its way to Italy and was well received at the Versilia Yachting Rendezvous. It continues to be humbling that folks say they come to the show just to see the new Bertram 35. Hull #2 and 3 have been plying their respective waters in the Gulf of Mexico and the Caribbean, #5 is headed to my backyard in SE Florida in about 3 weeks, #6 is headed to San Diego late July..and the list goes on out to #16. It won't be long and that recognizable profile will be all over the world. As pictured above, the new Bertram 60 is now out of the mold and expected to launch late this year...OK, since we are grading on a curve maybe very early next year. Like the 35, we have built a complete mock-up of every functional space on the boat to make sure they are....well....functional. We will likely have new, and closer to final, renderings of the boat in the next week, so email me if you would like to get a copy. Gotta have a great facility to build great boats. The city of Tampa gets an A+ for being a great new home for not just Bertram production, but also a world-class service facility. We have hired an incredible team in Tampa and are up to over 55 employees, growing in numbers every single day. Our Sister company in Italy, Baglietto Yachts gets high marks as well having now launched a second 48 M in less than a year. Way to show us up big sis! Of course they came back with a lot more than that, but that's the quick takeaway. You know if you've read these how much effort we have put into building a great boat and how proud we are of that, but that assessment really put a grin on my face. Let's just say that's not the report we got 22 months ago. Clearly, I brought our charming grade up...I wonder why Humble didn't make the list?